Barcelona have been dealt a huge blow ahead of their crucial Champions League clash against Lyon next week, as key star Ousmane Dembele could miss the clash through injury. 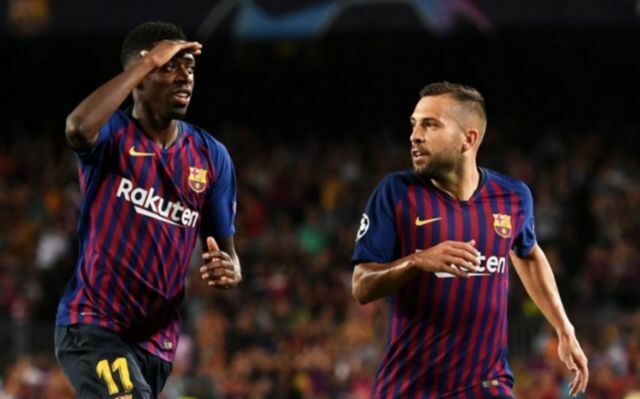 Dembele has been on fire for the Blaugana so far this season, and his presence would be missed should he be made to sit out the match against Lyon next week. As per AS, Dembele was swiftly sent to hospital after Barca’a 3-1 win over Rayo Vallecano on Saturday in order to have tests regarding a potential hamstring injury, with it also being noted that he is now a big doubt for the Spanish giants’ clash against Lyon on Wednesday. It would be a big blow for Barca should Dembele end up missing the game against Lyon, as the French international has shown this season that he can bring something to the table that no other Barcelona player can. The former Dortmund star has bagged a total of 13 goals and eight assists in 34 games in all competitions this term, a record that shows the winger is finally finding his feet at the Nou Camp after a horrid first season at the club. 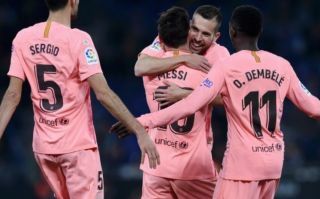 Dembele’s blistering pace and fantastic dribbling ability make him a key asset for Barcelona, and should he be made to miss their game on Wednesday, it’ll come as a huge blow for Ernesto Valverde and Co.
Barcelona head into their clash with Lyon with the scores tied at 0-0 following a dire first leg, with the Blaugrana hoping to avoid the same fate as PSG and Real Madrid by avoiding a shock exit against Lyon next week.